We believe in putting our best foot forward – always. We are committed to quality through our people, places and processes. We select our team members carefully, looking for highly qualified expertise and a passion for the trade. 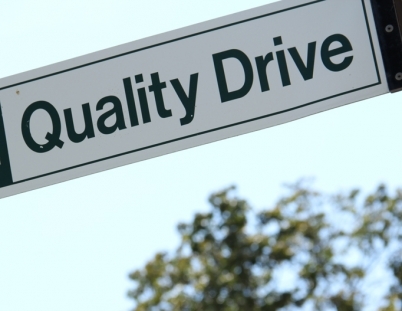 We continue to learn and train: Our Quality Assurance team members are required to have a minimum of 5 years experience at each level of their Carton Service career, often having production experience. The management team has extensive industry experience and grassroots knowledge of the industry. We stand on solid ground through our values: Integrity, Teamwork and Excellence. We are flexible in our operations, while creating the most efficient solution to your particular needs. Our Associates perform checks at every point in the process to ensure top notch results. Our quality program is based on ISO 9001-1998 standard. The program includes: CAPA (Corrective Action, Preventive Action): Supplier assessment (audits): Management review, (includes tracking of specific critical metrics): Contract review: Internal audits: Change control: Record retention: Training records: Calibration: CofC’s (Certificate of Compliance): Final review of production checklists, AQL’s (Acceptable Quality Levels), inspections, etc.